As everyone who lives in the Northern Avalon Peninsula knows, Bonfire Night on November 5th is a huge celebration. 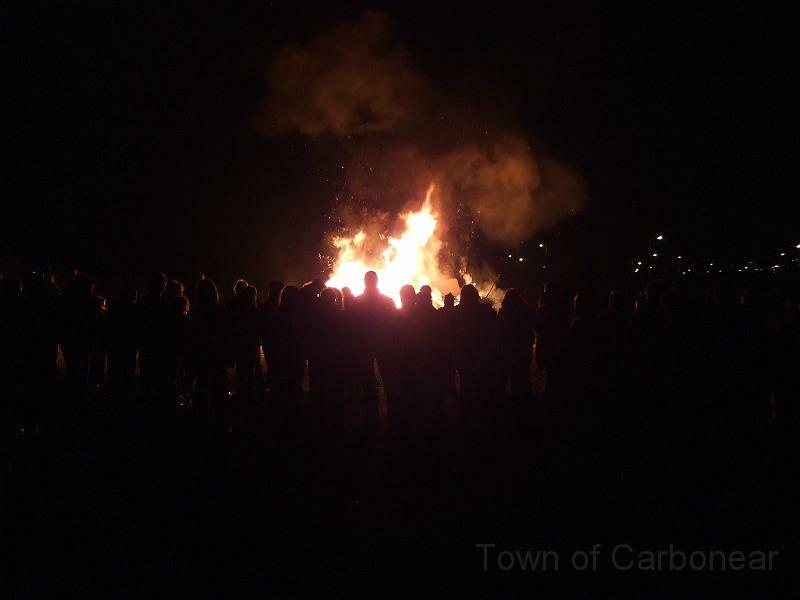 Many communities, including Brigus, Bay Roberts and Carbonear sponsor town bonfires. 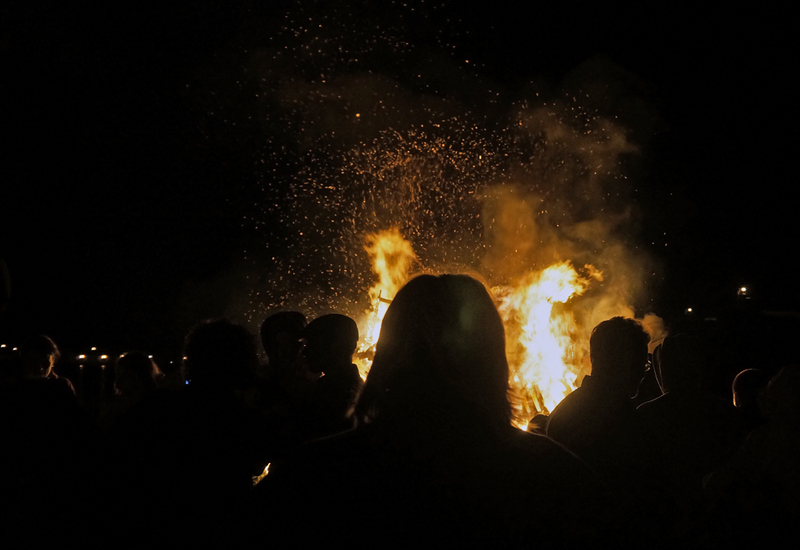 What is the origin and purpose of Bonfire night? According to Wikipedia, It actually has two origins from our Celtic and our British Ancestors. Samhain, which means November in Irish, was an ancient celebration for end of summer and the Harvest season in the Celtic calendar. It was the last great feast held outdoors before the cold months came. 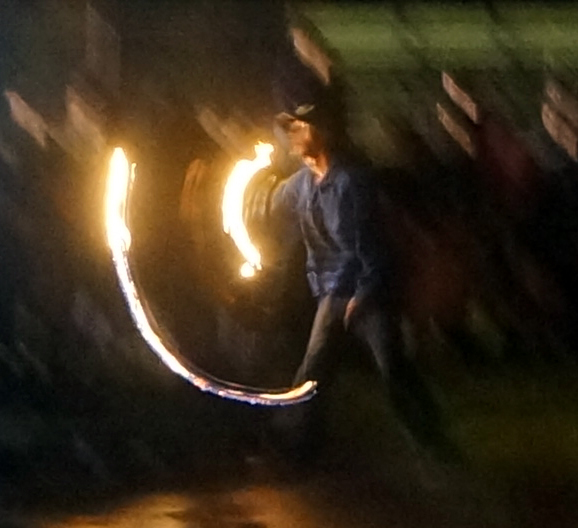 Later Guy Fawkes Night, also known as Guy Fawkes Day, Bonfire Night and Firework Night began. Its history begins with the events of 5 November 1605, when Guy Fawkes, a member of the Gunpowder Plot, was arrested while guarding explosives the plotters had placed beneath the House of Lords. Celebrating the fact that King James I had survived the attempt on his life, people lit bonfires around London. Most people today do not know or care about the origins … they just enjoy a fun community gathering for families – to celebrate the end of the harvest season and the beginning of winter. 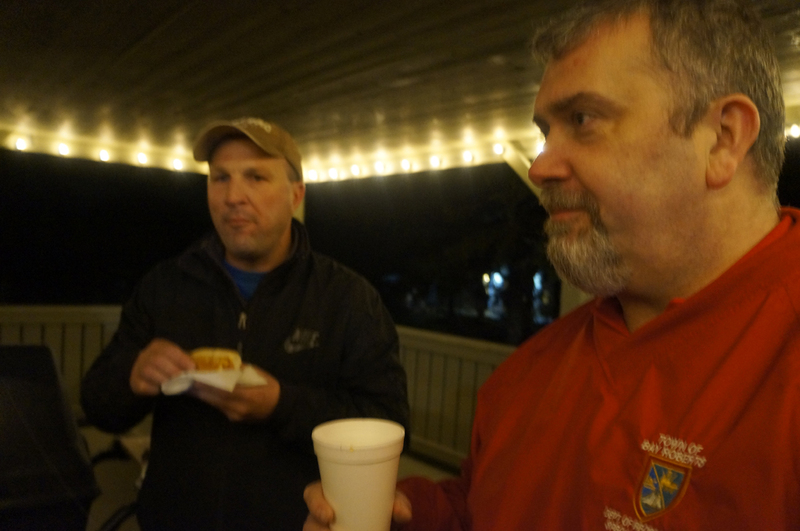 They drink hot chocolate, roast wieners, and marshmallows… and sometimes even a few dried caplin. 100 Sunrises for the Kyle, originally uploaded by eracose. 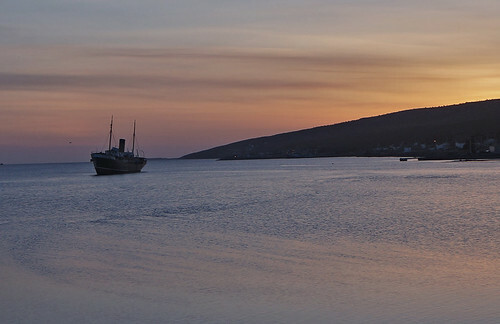 On April 7th, 2012, the SS Kyle celebrates one hundred years. The SS Kyle was completed on April 7th, 1913 and officially launched 17 April 1913 by Mrs R. G. Reid, wife of president of the Reid Company of Newfoundland, long before Newfoundland became a province of Canada. It is moored today in Harbour Grace, where people often photograph the boat because of its long attachment to the Labrador Fishery. 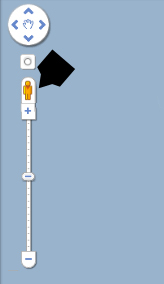 The SS Kyle had several phases of existence. It was a ferry on the Cabot Strait run between Port aux Basques in the country of Newfoundland and North Sydney, NS in Canada; it was a coastal boat bringing fishers to take part in the Labrador fishery; and in 1960, it was purchased by the Earl Brothers Fisheries of Carbonear and used in the seal trade until 1967 when an iceberg accident caused it to be moored in the Harbour Grace. During a storm, the SS Kyle broke its moorings and drifted to Riverhead where it has been standing ever since. Fishermen and workers bought tickets at the Railway Stations in Conception Bay North to go the Labrador Fishery on the SS Kyle. Ted Russell’s Famous Story Poem, Smokeroom on the Kyle, recounts the experience of storytelling while traveling to and from Labrador. Of fish they’ve caught, of birds they’ve shot, of crazy risks they’ve run. As Grampa Walcott told one night in the Smokeroom on the Kyle. The SS Kyle was an important part of the lives of many people of this region. For example, when the Bay Roberts Cultural Foundation, the Bay Roberts 50+ Club and Ascension Collegiate conducted interviews with seniors for the “Holdin’ Ground Project” (which was supported by New Horizons Canada), we found that the Kyle had played a pivotal role in many of their lives. The role was so important that when a film festival was held during Culture Days in 2010 at the Amalgamated Academy to show the interviews, students from each class recited one verse from “Smokeroom on the Kyle” and there was a Kyle Cake to celebrate the occasion. The whole event was broadcast to the full school with their internal video system. 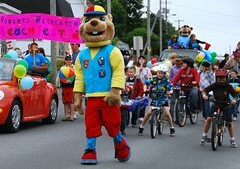 Mr. Gus Menchions, who has traveled on the Kyle many times and who has made a model of Kyle, participated in the Labrador Film Festival and displayed his model of the Kyle. As well, Mr. Menchions was special guest during the opening of the Model Boat exhibition during last year’s Holdin’ Ground Festival. 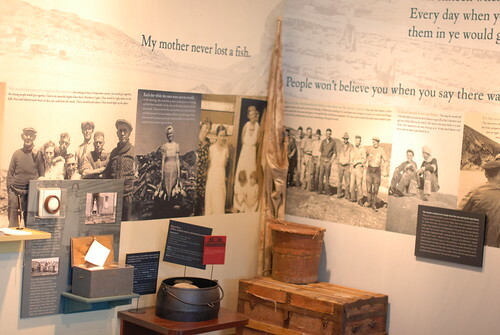 The Rorke Store Museum in Carbonear houses an Exhibit called Balancing the Scales, which chronicles the connection to the Labrador fishery which was very much an integral part of the Rorke legacy. Florence Button from Carbonear has written a play about the role of women in the Labrador Fishery entitled “Connecting Rooms: A Tribute.” One story is about a young women, at nineteen, going to the Labrador on her Honeymoon on the Kyle – but the men were in one section of the ship and the women in another! At the Cupids Legacy Centre in Cupids, there is a large display about the Labrador Fishery. The S.S. Kyle, a 220-foot steam ship that is a cherished icon to generations of people in Newfoundland and Labrador, was launched in 1913. 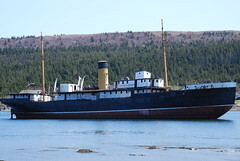 In February of 1967, it ran ashore in a gale and it now lies aground in the harbour of the town of Harbour Grace. The ship proudly known as the ‘Bulldog of the North’ was used mainly for transportation of people and goods from St. John’s to Labrador. It also transported soldiers from Newfoundland to mainland Canada during World War Two. The Kyle was part of the Reid Newfoundland Company’s Alphabet Fleet: ships that all bore the names of a Scottish town. The Spirit of the S.S. Kyle, author Pat Collins recounts the history of the incredible ship by intertwining real life with a love story that encompasses murder, romance, forgiveness, and the mystic Seaman’s Ghost that continues to guide and watch over the Kyle. 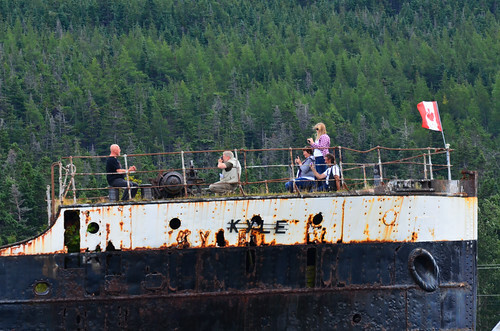 For the past three years, Libby Earle, daughter of Guy Earle, the last owner of the Kyle has carried out a “Swim the Kyle Event” to bring attention to the SS Kyle in Harbour Grace and to highlight its importance to the history of the area and to raise money to preserve the SS Kyle. This year’s 4th Annual Swim will take place on Saturday, September 14th, 2013. 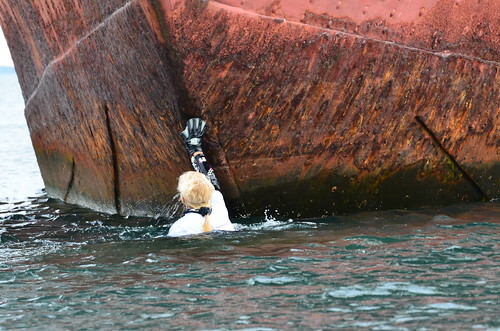 Libby Earle, daughter of the last owner, Fred Earle, Reaching the SS Kyle in 2012. July & August Brigus Live! on the Lawn. Wed, Thurs, Fri Afternoons Hawthorne Cottage National Historic Site FMI: 528-4004, List of Events in Brigus – Details about Live! on the Lawn at bottom of page. 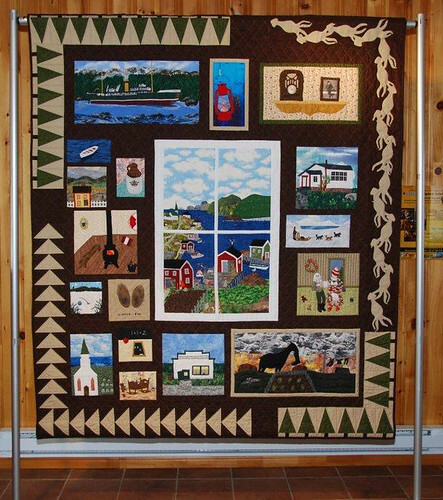 July 24 Conception Harbour Down Memory Lane – Kitchen Party with Local Musicians Marian Hall. Bar Service. However, it was not until we began working on “The Holdin’ Ground Project” that I realized the full impact of the Kyle on the lives of people in Conception Bay North. Dale Jarvis, Intangible Cultural Heritage Development Officer for the Heritage Foundation of Newfoundland and Labrador,was part of the audience at the Holdin’ Ground Project Launch. He pointed out that the towns of Conception Bay North – Carbonear, Harbour Grace, Spaniard’s Bay, Bay Roberts, Brigus, and Cupids (just to name the larger towns) are very well known for their ties to the Kyle and the Labrador fishery. Many of the older citizens interviewed participated in the Labrador fishery at some point in their lives, and many of them traveled to coastal Labrador on the Kyle. Mrs. Emmie Roach (88) tells of going to the Labrador on the Kyle as young woman. As part of “A Time in Pigeon Inlet,” Ted Russell (through the magic of recording), Kelly Russell, Russells the Corner, the Pigeon Inlet Players, and the audience read Ted Russell’s “Smokeroom on the Kyle.” Ted Russell, who grew up on Coley’s Point, must have heard many stories about the Kyle . 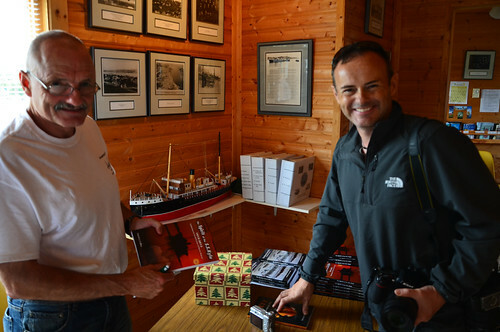 In addition, Victoria Loyal Orange Lodge #3, which has been resorted and opened to the public as a play house and museum by Brenda and Jerry Mercer, has a 10 Foot Hand Made Model of the Kyle. July 9 Brigus “A Royal Shag Up” Comedy Dinner Theatre. The Queen visits and with the help of our womanizing Mayor and torrid French dancer Fifi LaFlamme, unveils a lot more than a monument! 7:00 p.m. Friday & Saturday evenings through July & August. Choice of menu. Reservations essential. Ph. (709) 528-4044. July 10 Brigus “A Royal Shag Up” Comedy Dinner Theatre. The Queen visits and with the help of our womanizing Mayor and torrid French dancer Fifi LaFlamme, unveils a lot more than a monument! 7:00 p.m. Friday & Saturday evenings through July & August. Choice of menu. Reservations essential. Ph. (709) 528-4044.